How do I activate or register Privacy Protector? Privacy Protector is designed for simplicity and ease of use. 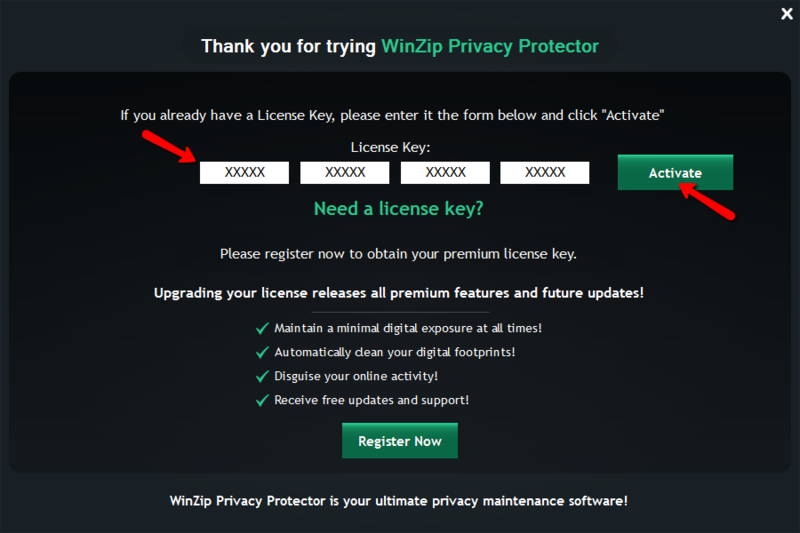 Once you register your copy of Privacy Protector, you will receive a license key to activate and unlock all features of the program. Click on the Register Now button in the bottom-right corner. Copy & Paste your License Key into the license key text fields. Click on the Activate button to complete the activation process. You should see a message confirming the successful activation. 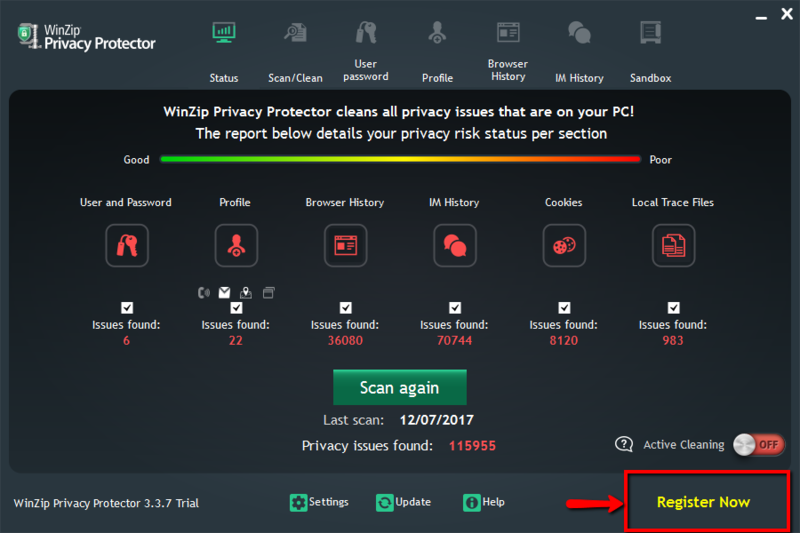 You are now ready to find and remove privacy risks found on your computer!